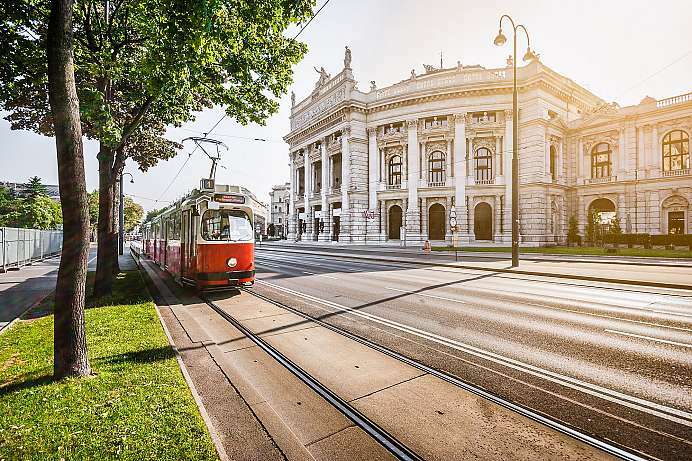 Unlike other European capitals, Berlin is a young city that only grew in importance with the rise of Prussia to a European powerhouse in 1815. Yet there is hardly a city that affected – and was affected by – 20th century history more than Berlin. After the peaceful reunification Berlin became a world city of culture, politics, media and science. In the 21st century the city has become a magnet for entrepreneurs, creative people and immigrants. 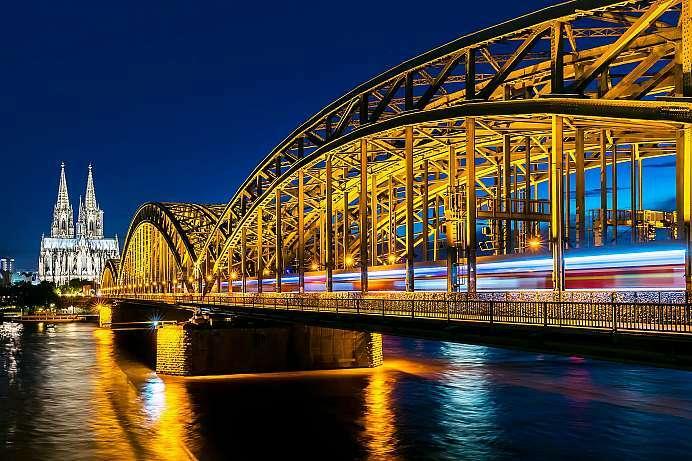 Berlin’s architecture, festivals, nightlife and creative alternative scenes attract millions of visitors to the city. During the National Socialist era, the building at Bendlerstrasse 11-13 was the seat of the General Army Office. There was the centre of resistance against Hitler within the Wehrmacht (armed forces). The attack carried out by Colonel Graf von Stauffenberg in the Wolfsschanze on 20 July 1944 was planned and organized here. The permanent exhibition Memorial to the German Resistance in some of the former offices commemorate the resistance fighters and the memorial in the courtyard reminds of the officers executed there. Just outside the Humboldt University, the Nazis staged a burning of books on 10 May 1933. In their own words they burned “literature that undermines the moral and religious foundations of our nation”. In this “action against the un-German spirit” 20,000 books went up in flames. 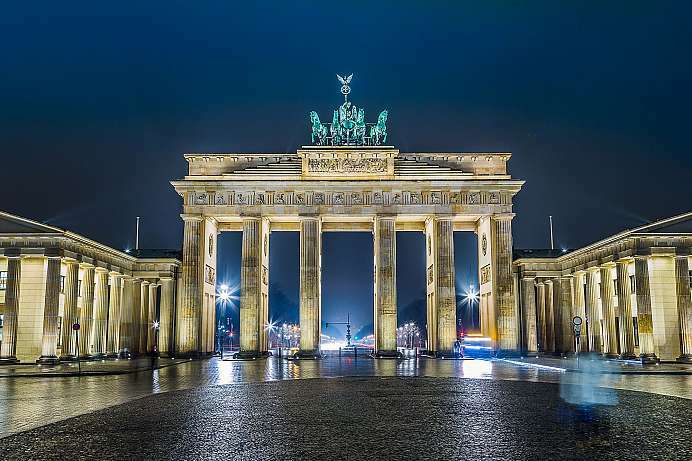 Using the Brandenburg Gate as an example it is possible to illustrate the city's history: Built in 1791 the gate was designed with the Quadriga as Triumphal Arch through which the glorious Prussian soldiers were to march into the city. When Napoleon defeated Prussia a few years later, the Quadriga was deported to Paris and returned only in the wars of liberation. Ever since that time it was considered a monument with national symbolism. On 30 January 1933 after the seizure of power, the Nazis staged an eerie torchlight procession through the gate. Twelve years later the heavily damaged bombed gate became the sector boundary between the eastern and western parts of a city that was lying in ruins. 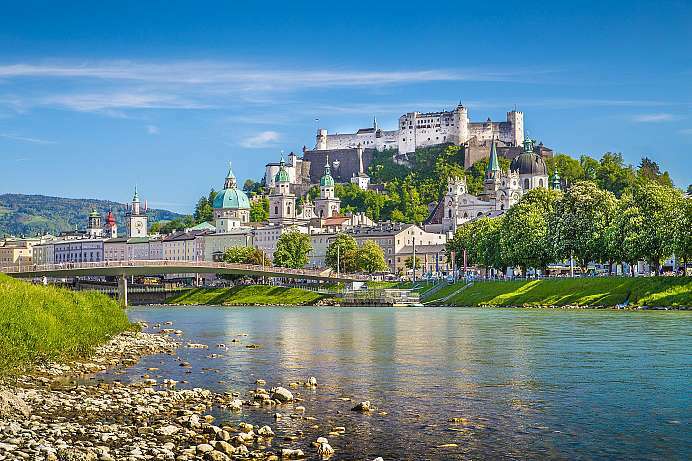 The walled gate also became the symbol of the walled city and the front of the iron curtain that divided Europe from the Baltic Sea all the way to the Mediterranean. Thus, the Cold War ended logically on 9 November 1989, with a cheerful spectacle and celebration on the Wall at Brandenburg Gate. 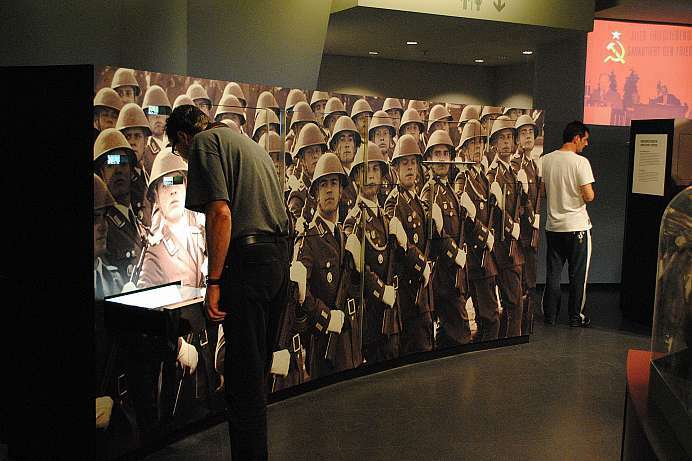 The museum opened in 2006 shows the everyday life of the former state and conveys life under socialism in an interactive and entertaining way. Visitors are invited to expand their knowledge in different thematic areas, to reconsider existing clichés and to experience history in a tangible way. For this reason the exhibits of the museum are not only kept in glass cabinets. A piece of German history waiting to be experienced and touched. 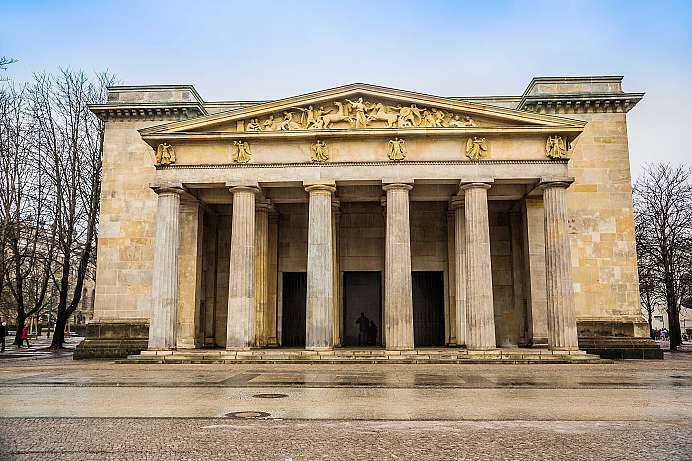 The longest open-air gallery in the world was established in 1990 after the German reunification. With a length of 1.3 kilometers, 118 artists from around the world painted the Hinterland Wall along Mühlenstraße between Oberbaumbrücke and Ostbahnhof. The spontaneous work of art is now a conserved and protected building. 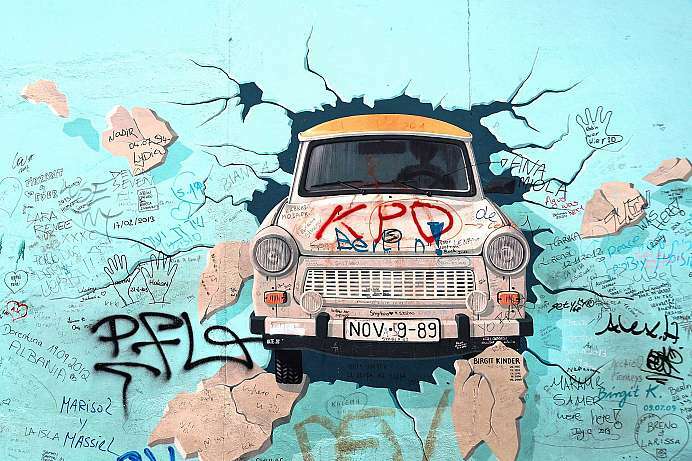 It still shows the hopes and the exuberant joy that was felt everywhere shortly after the wall came down in Berlin. The former recreational park Berlin-Marzahn is now home to a colorful and versatile garden world. The 21 hectares of gardens boast vast grassy expanses, flower beds and walking paths that lead through nine thematic gardens. 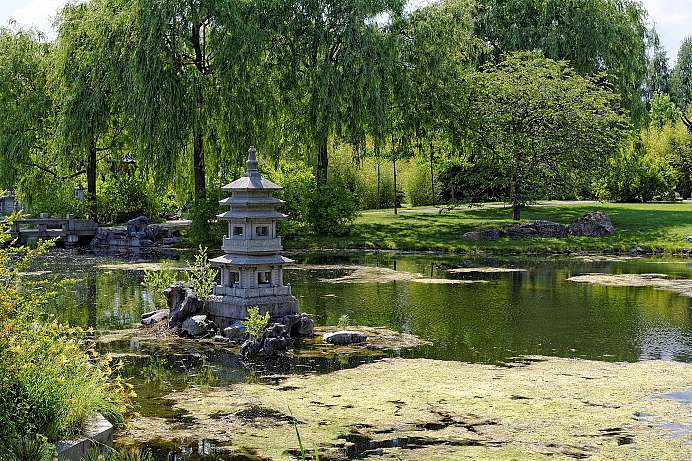 In addition to the largest Chinese garden of Europe you will find a Japanese and a Balinese garden, the garden of the Four Rivers (Oriental), a hedge maze true to English style, an Italian Renaissance garden and a medieval monastery garden. 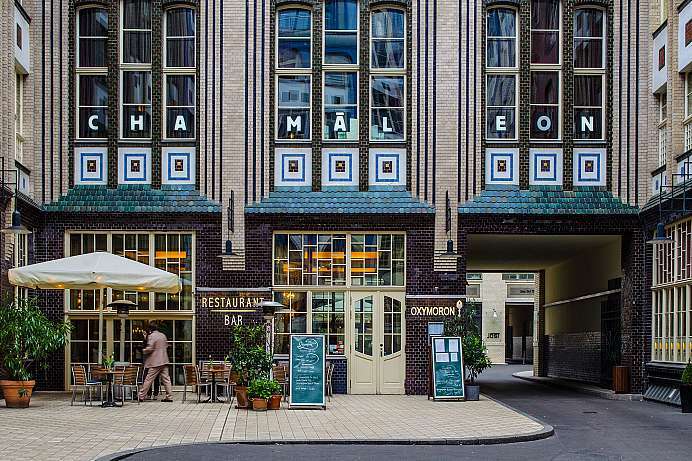 The Art Nouveau courtyards at the Hackescher Markt have become the central point for both: hip locals as well as visitors to Berlin. Lavishly restored, and located in the historic “Scheunenviertel” (the barn quarters), they form the largest enclosed courtyard area of Germany. Already at the opening there was the typical mix of offices, trade, mini-factories and apartments which is so common to many Berlin backyards. 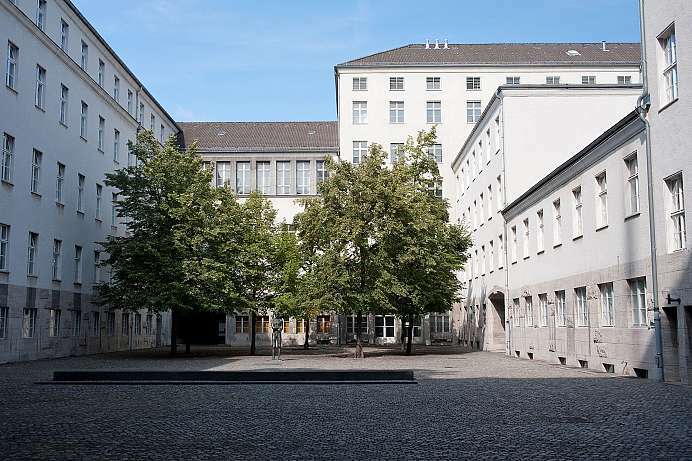 Today the eight Hackesche Höfe between Rosenthaler- and Sophienstraße offer 27,000 square meters of space for cultural facilities, cinemas and housing. In the surrounding areas a new nightlife district with countless bars, restaurants and clubs has emerged. On 20 January 1942, senior officials of the Nazi Reich ministries and the SS met at Villa Minoux on the shores of the Wannsee. Here, under the leadership of SS Lieutenant General Reinhard Heydrich the deportation and murder (“final solution”) of the European Jews in the occupied territories of Poland and Eastern Europe was negotiated. 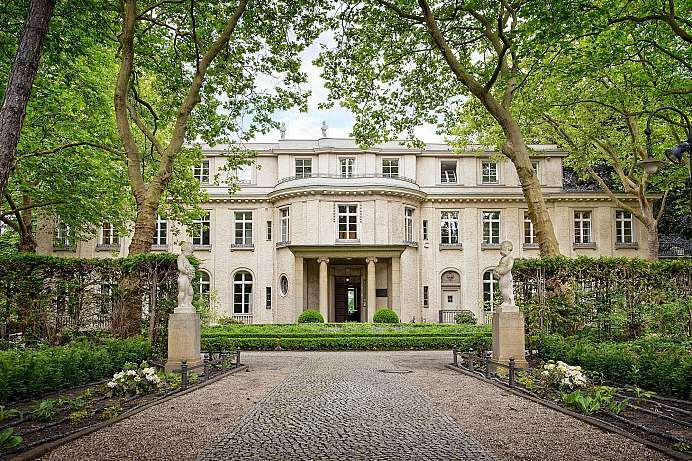 Today the splendid villa on the Wannsee serves as a reminder and a memorial. You can view the permanent exhibition: “The Wannsee Conference and the Genocide of the European Jews”. 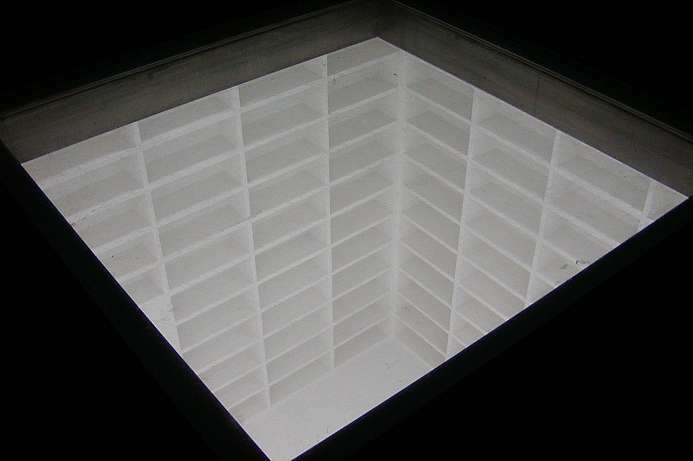 However, there are also changing exhibitions pertaining to the Holocaust theme as well as a library. 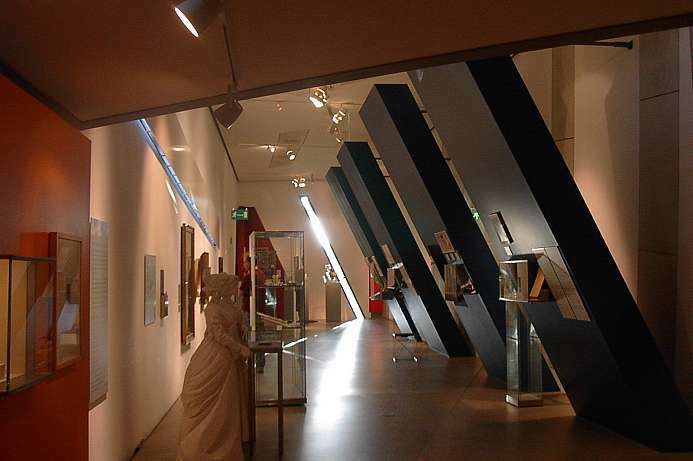 The largest Jewish museum in Europe offers a permanent exhibition with an overview of two millennia of German-Jewish history – depicting highs and lows of the relationships between Jews and non-Jews in Germany. In addition, there are several temporary and changing exhibitions each year. Even the building in itself is worth a visit. The baroque Kollegienhaus was symbolically extended in 1999 after a design by Daniel Libeskind with a zigzag-shaped building and a titanium facade. 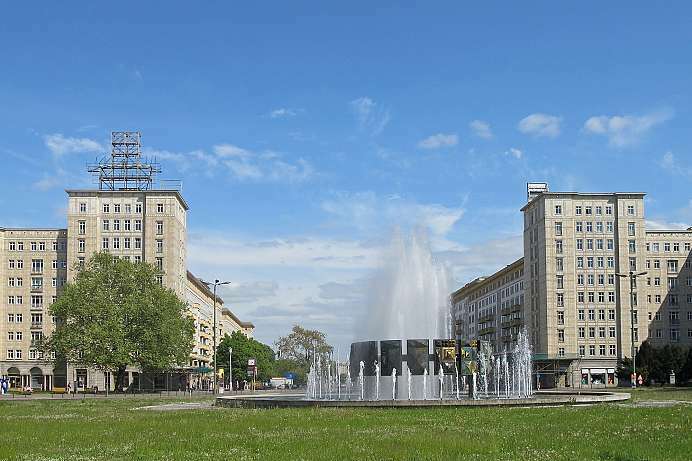 The two-kilometer long Stalin Allee, which was later renamed the Karl-Marx-Allee, between the Strausbergerplatz and the Frankfurter Tor, originated between 1952-1960. It was probably the most monumental building development along a street in the 20th century in Germany. The 90-meter-wide road was lined with magnificent seven- to nine-storey buildings in the “Stalinist wedding-cake style" of the 50's, which are up to 300 meters long and built according to specifications from Moscow. Of particular importance was the street in the uprising of June 17, 1953. The workers at the construction sites went on strike against the increase in labor standards. As the demonstrations spread throughout the city, they were crushed by Soviet tanks. 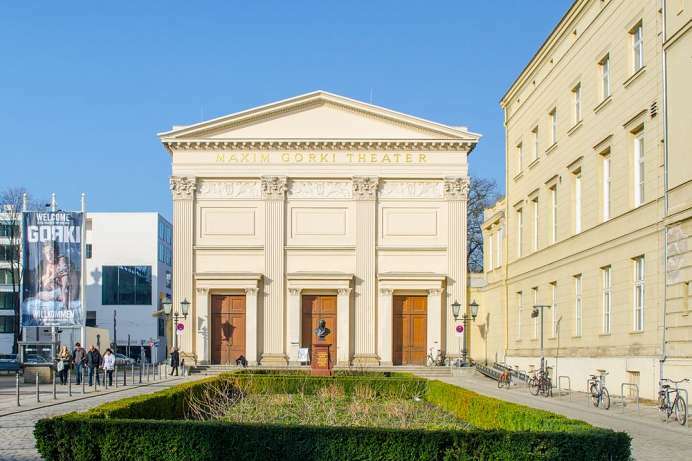 This small theater in a historic building was founded in 1952 and was intended to offer Russian theater in the tradition of Social Realism as a reaction to the works of Bertolt Brecht. The drama, “die Übergangsgesellschaft” (Society in Transition) caused a stir in 1988 for anticipating the downfall of the GDR. Today, the theater's plays deal with often-ignored cultural issues. You can even watch them with English subtitles. The former prison of the GDR State Security was used from 1951-1989 and is now a memorial site. 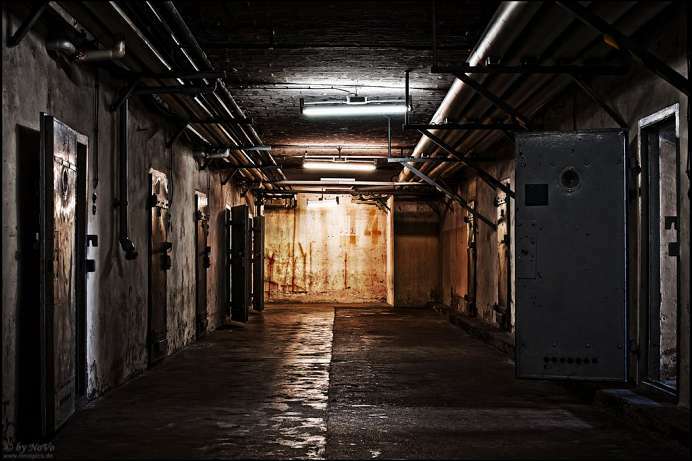 Previously, the Soviet secret service had already set up a special camp here in May 1945, on the premises of the large kitchen, of which the cellars were later no longer used, but can still be viewed today. Since large parts of the building have been preserved, the memorial site gives a very authentic picture of the detention regime in the GDR. The neoclassical building by Schinkel dating back to 1816 was built next to the former arsenal of weaponry. It served the guards who were guarding the Royal Palace across the road. From 1818 to 1918 soldiers patrolled here, goose-stepping to martial music. This stopped when Emperor Wilhelm resigned after Germany lost the First World War. In 1931 the building was transformed into the Memorial to the Fallen Soldiers of the First World War. The Nazis added an eternal flame to the patrolling soldier. During the GDR the building was rededicated. The guard of honor was now taken over by the Friedrich Engels Guard Regiment and the eternal flame was lit in honor of the victims of fascism and militarism. After the reunification the goose stepping and the flame were abolished. The hall is empty now, except for a sculpture by Käthe Kollwitz. It shows a mother with her dead son.